When we operate the data on an Excel worksheet, we may need to delete text from a cell in a spreadsheet document and sometimes even remove all the contents with format from the cell range. This article will demonstrate how to remove the value and format from Excel Cell range with the help of Spire.XLS. Step 1: Create an instance of Excel workbook and load the document from file. Step 2: Get the first worksheet from the workbook. Step 3: Set the value as null to remove the original content from the Excel Cell. Step 4: Clear the contents to remove the original content from the Excel Cell. 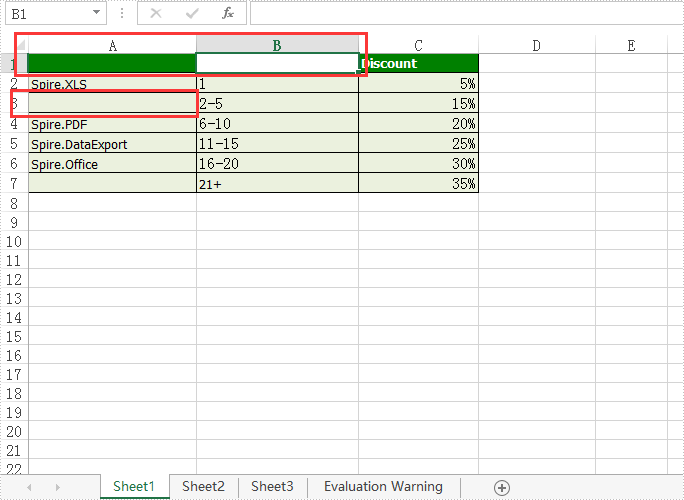 Step 5: Remove the contents with format from the Excel cell. Step 6: Save document to file.